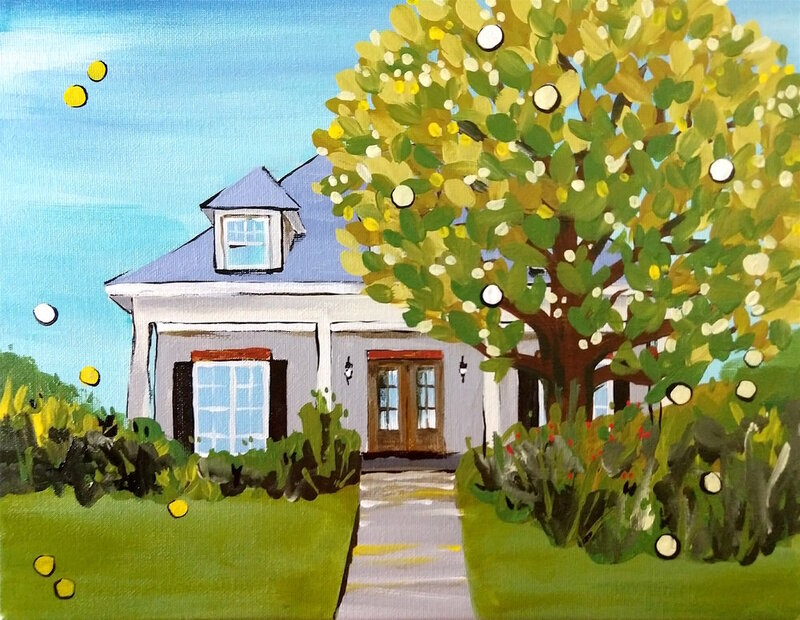 Sarah began painting house portraits for a real estate group as closing gifts to their clients. 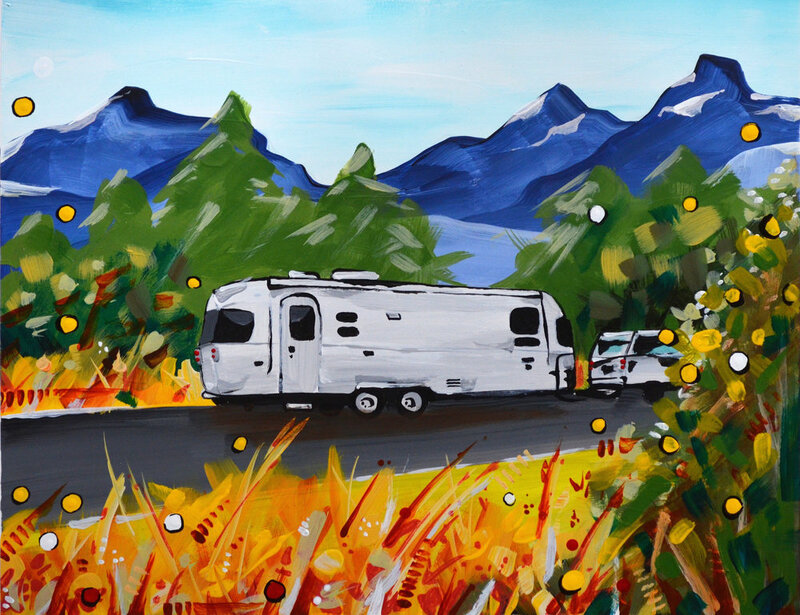 Each piece is 11 x 14 inches, painted in acrylic on high quality archival paper. 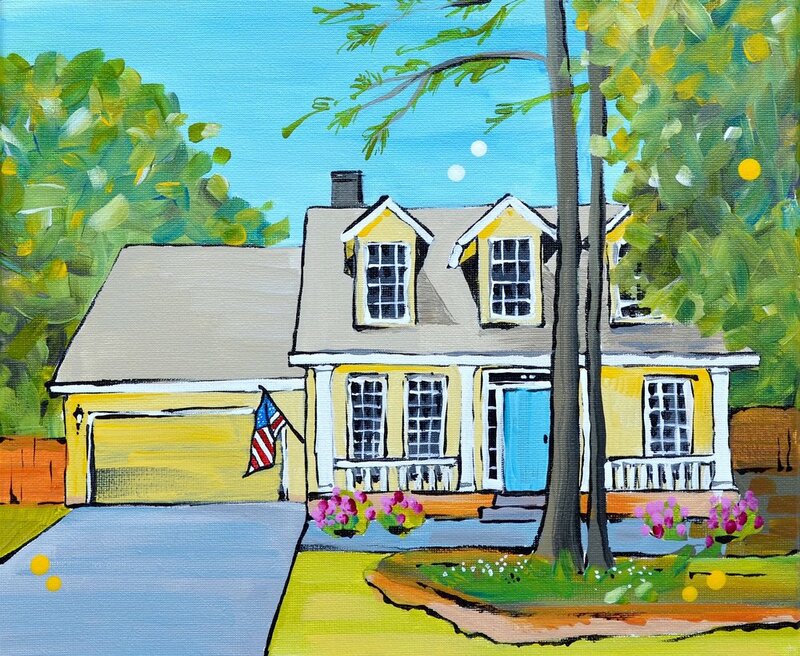 If you're interested in commissioning a portrait of your house, please make contact. 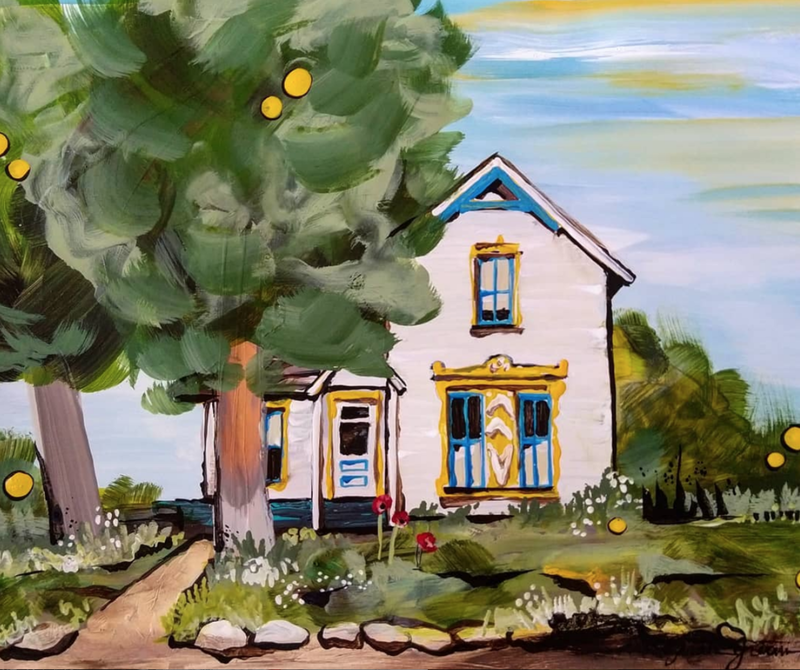 I consider my house portraits to be little painted love letters. These homes shelter the hopes and dreams of the inhabitants and my goal in rendering them is to honor those dreams. A note on timing: These pieces usually take 2-3 weeks to complete depending on time of year and how many pieces are in line ahead of yours. Again, please make contact to inquire about timing. Thanks!